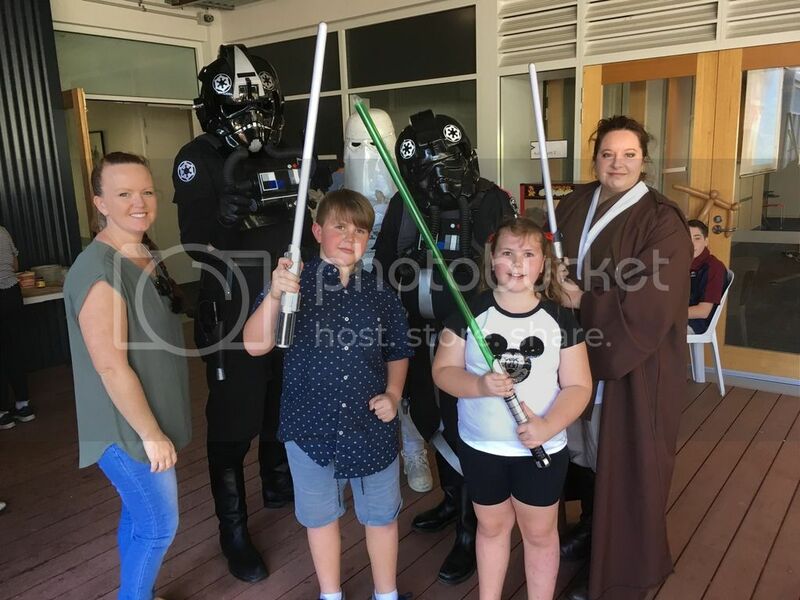 Mission: To add a Star Wars presence to the Family Fun Day at the Hear and Say Centre, which was the last day of the Annual Australian Microtia and Atresia Conference. The children are born with underveloped ear/s and no ear canals. The conference is a chance for families to support each other and they are from all over Australia. 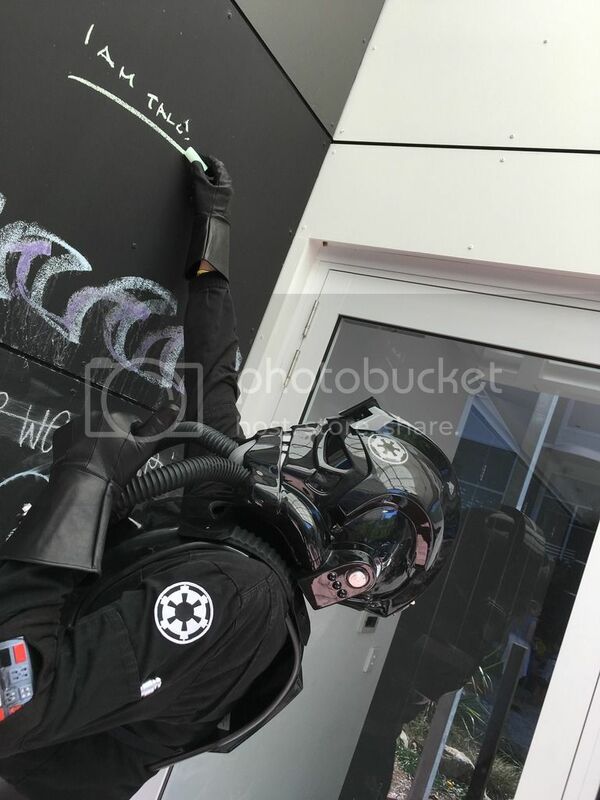 Troopers gathered at the new Hear and Say Centre at Ashgrove as the fun day was in full swing with a lunch underway, and activities such as an abseiling wall, go karts, playground, crafts and a magician. The popcorn maker and 4 flavour slushie machines were very popular. 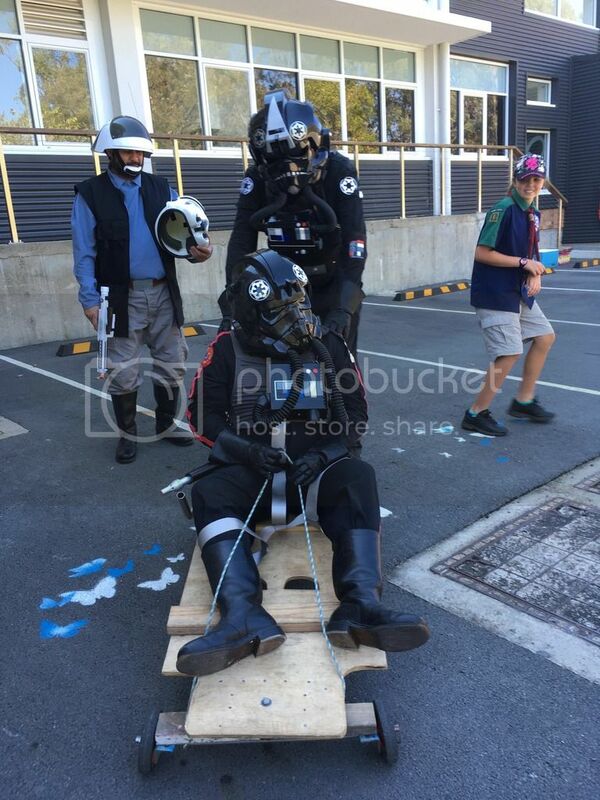 Troopers joined in the fun of the kids playground. 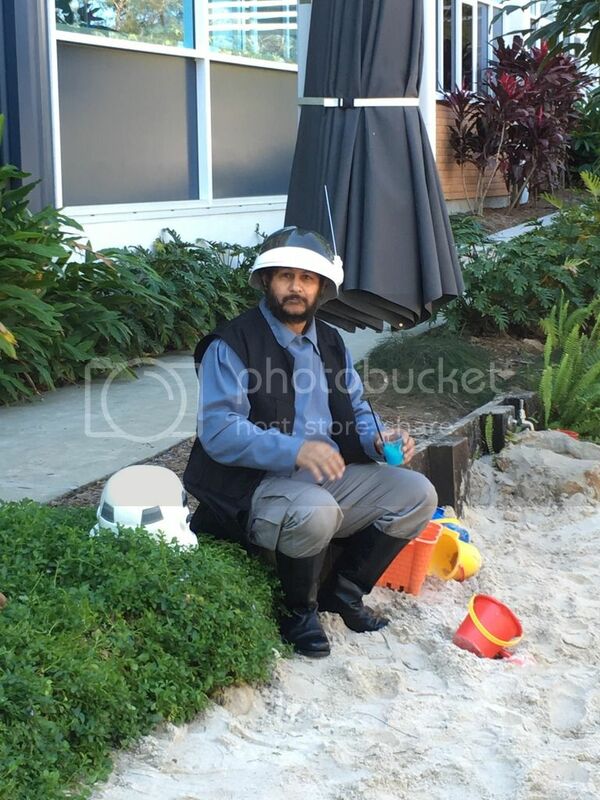 Spooky the jawa especially took a liking to the sandpit and made some new friends. Some of the children were cautious with us, but warmed up with some concerted efforts by the troopers to put them at ease. Aasmetz in his first troop did a great job looking frosty. 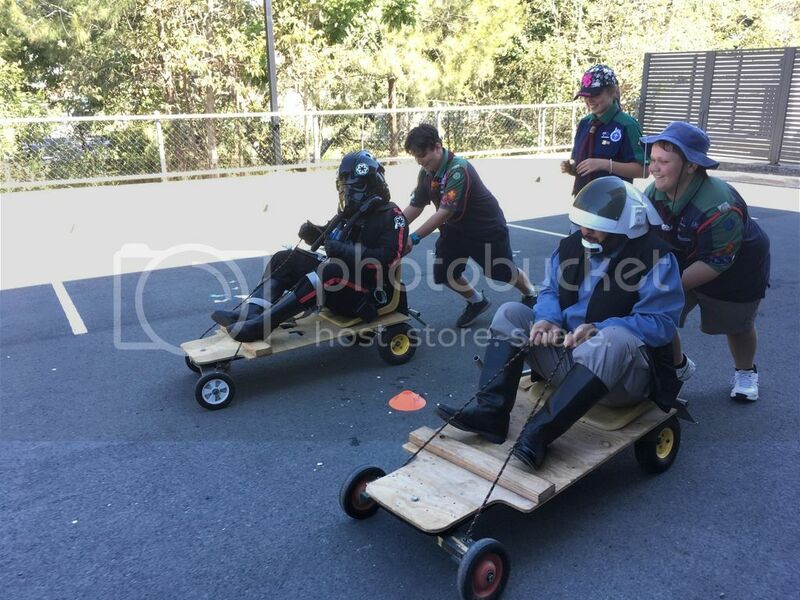 Mykill and Stormraven test drove a new Imperial go kart and challenged Taragon the RFT to a race. We met a family who told us that the Redbacks had fund raised (she thinks) in 2012 for their daughter’s twin ear operation in the USA. The little girl was there and her hearing was perfect! A small troop but it was appreciated us being there. 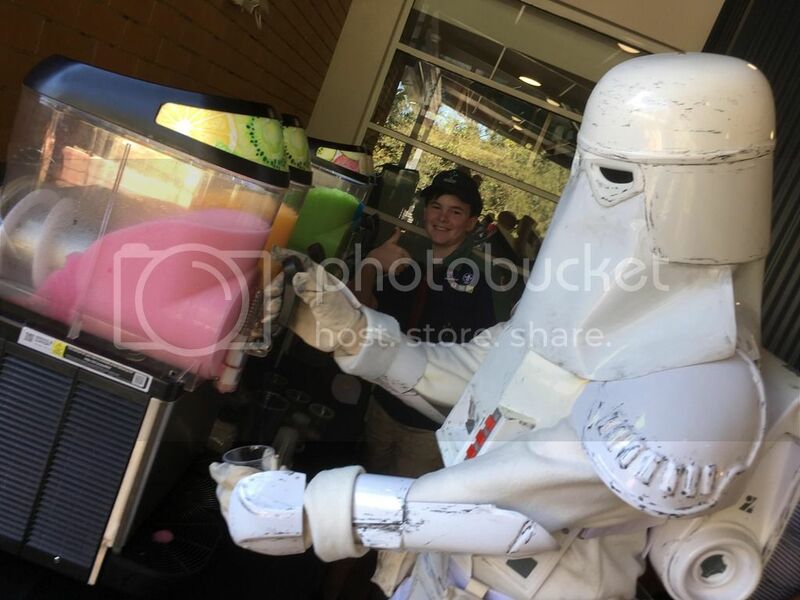 We were treated to a slushie before we dekitted and we all headed back to the Nundah Festival. Mission Status: Success. Small but worthwhile. Thank you to those that came along and made a difference to the event. Great little troop there Rebelrach and the gang.